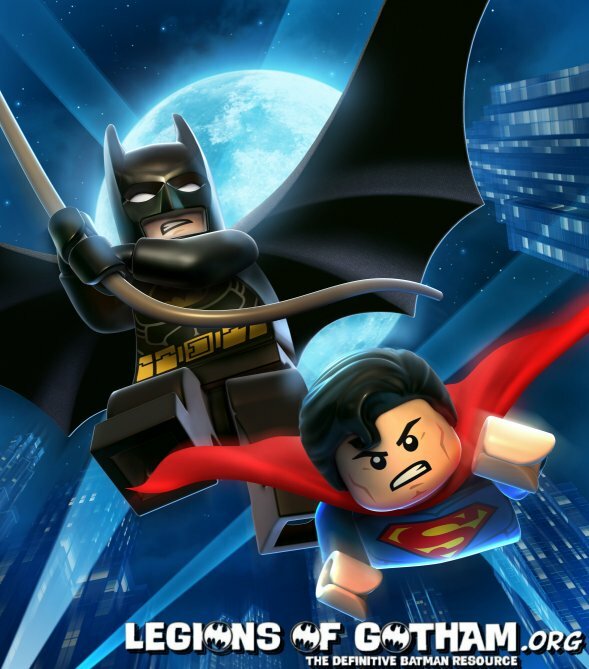 LEGO Batman 2: DC Super Heroes allows players to explore all new areas of Gotham City utilizing a variety of vehicles including the Batmobile and Batwing. In addition, they’ll be able to fight for justice by mastering new gadgets and suits, such as Batman’s Power Suit and Robins’ Hazard Cannon, and using all-new abilities including flight, super-breath and heat vision. TT Games, wholly owned by Warner Bros. Entertainment Group, is the combined publishing and development group behind the hit games LEGO® Star Wars™, LEGO® Batman™, LEGO® Indiana Jones™, LEGO® Pirates of the Caribbean™ and LEGO® Harry Potter™. Incorporating renowned UK developer Traveller’s Tales, TT Games has a distinctive focus on console, handheld, mobile and PC games of the highest quality, aimed at young gamers and their families. For more information, please visit www.ttgames.com. LEGO BATMAN 2: DC SUPER HEROES software © 2012 TT Games Publishing Ltd. Produced by TT Games under license from the LEGO Group. LEGO, the LEGO logo, the Brick and the Knob configurations and the Minifigure are trademarks of the LEGO Group. © 2012 The LEGO Group. All other trademarks and copyrights are the property of their respective owners. All rights reserved. Batman and all related characters, and elements are trademarks of DC Comics © 2012. All Rights Reserved. WB GAMES LOGO, WB SHIELD: ™ & © Warner Bros. Entertainment Inc.(s12) Windows, Xbox, Xbox 360, and Xbox LIVE are either registered trademarks or trademarks of the Microsoft group of companies. Bandai Thundercats Showings At the UK Toy Fair! The Dark Knight Rises Merchandise Archive! 4 New Dc Super Heroes Flash Book Reviews! 4 New Green Lantern Book Reviews! The First Clip from Justice League: Doom! Marvel Unveils Cover To AVENGERS VS. X-MEN #1! Talia Al Ghul Confirmed In The Dark Knight Rises! Win a copy of Real Steel on Blu-Ray! Target Toy Story Xmas Merch! New Star Wars Helmet Speakers! AVENGERS VS X-MEN: ROUND 1! The 2012 Dc Superheroes Batman Lego Sets! Toy Story Valentines for 2012! The Lastest Batman Target $1 Section Finds! New Lego Batman Comic from Lego Club Magazine!